Review: This was quite good! I've mentioned before how I'm OK with "syrupy" sodas (and I figured this could be syrupy), but this wasn't too overly sweet. The grape flavor was strong and tasty. It was rich and full, but stopped before getting too sweet. A pretty good grape soda! 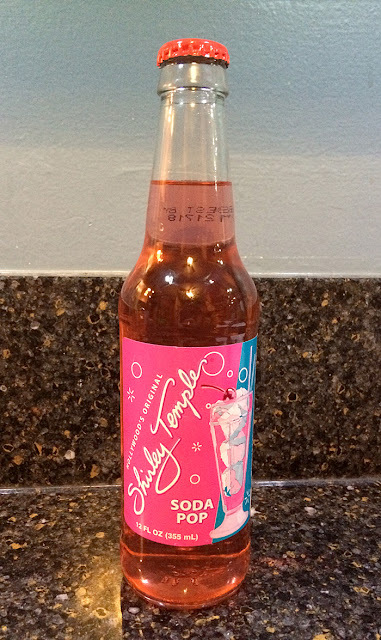 Brand: Hollywood's Original Shirley Temple Soda Pop. Review: This wasn't good. It was incredibly "sharp" and harsh. It had a very strong/strange strawberry flavor that was just too much along with the carbonation. I had a few sips over an hour, but I didn't come close to finishing this. Gross. Purchase Place: Whole Foods, St. Paul, MN. Review: This wasn't great. It wasn't horrible, but I didn't care for it. 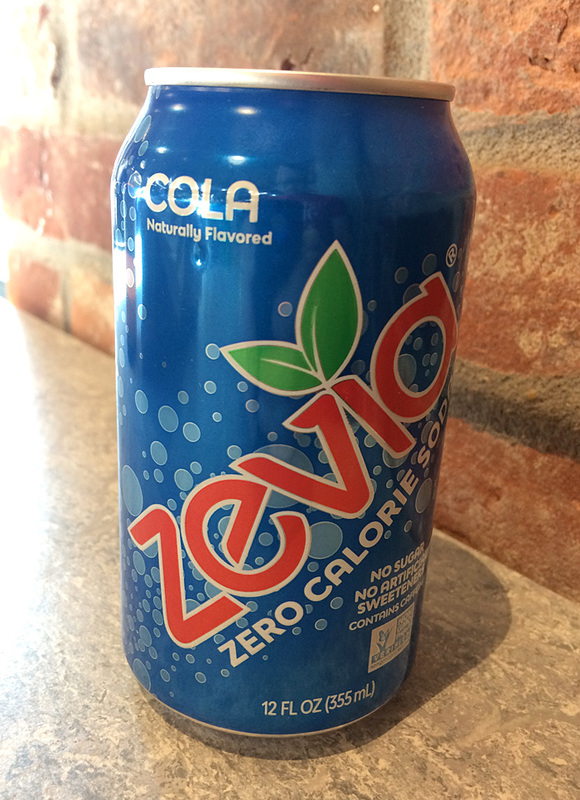 The cola flavor was weak, and it was really "thin" like many diet sodas. It had a strange sharpness (that I think I get a lot from Stevia), but then a decent slightly fruity kick. Not great overall. Sweetener: "All natural pure can sugar." Review: This was OK. There was nothing too special about this. It was quite creamy, with a strong sweetness too it (nearly too much for this sugar-loving boy). I obviously didn't care for the (slight) over sweetness, but there was a slightly fruity flavor that helped this recover. Nothing stood out - it was OK but not amazing. This gets a middle-of-the-road score from me. 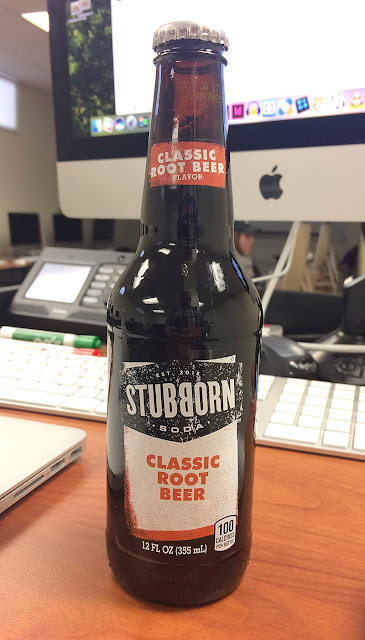 Brand: Stubborn Classic Root Beer. Review: This is very unique. I wasn't sure I liked it at first. It almost has a butterscotch flavor - maybe a slight burnt butterscotch flavor. But it's not bad. 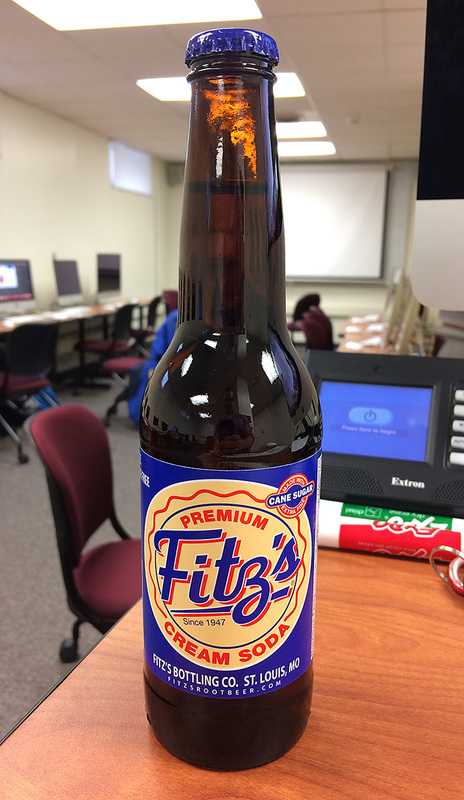 I sure wouldn't call this "classic" root beer as they do, but it was an interesting twist on the classic root beer flavor. Smooth and creamy. Not bad. All the bottles from a few months ago, but this review is just for 4 of the 9. Not Your Mom's Apple Pie: This was a beer flavored with vanilla and apple juice, which sounded good to me. It's rare that my wife and I have the same reaction to a drink, but this one was the exception. My wife's quote after taking a sip: "Mmmmm, oh that's goooo... wait, OH NO!" Yep, I had the same thought. It's a very sweet apple pie flavor initially, but then there's a HARD hit of over-the-top cinnamon. I see what they're going for (it's like a super rich pie crust flavor), but it's quite literally 10x what it needs to be. It was nearly undrinkable. Score: 2.5 out of 10. Henry's Hard Cherry Cola: I liked this. It was just a little malty and not too "beer-y." And it had just a good cherry cola flavor. This went down easy. Score: 7 out of 10. Strongbow "Cherry Blossom" Hard Cider: I'll be honest - I don't remember drinking this one. It must have been OK, but not great. Or horrible. Oops. Sorry. Score: 5 out of 10. Coney Island Hard Root Beer: Possibly my favorite hard root beer! It had a strong vanilla flavor, and not a huge bite of booze. 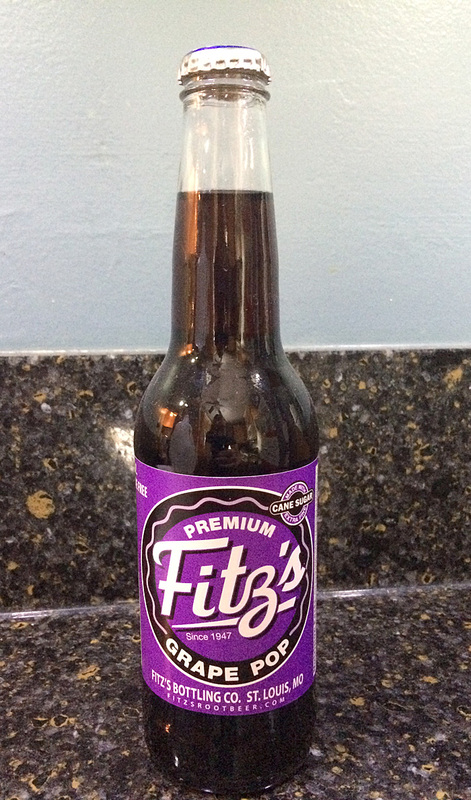 Still, I couldn't help but thinking if did NOT have alcohol in it, it would have been a great root beer. Score: 8 out of 10. 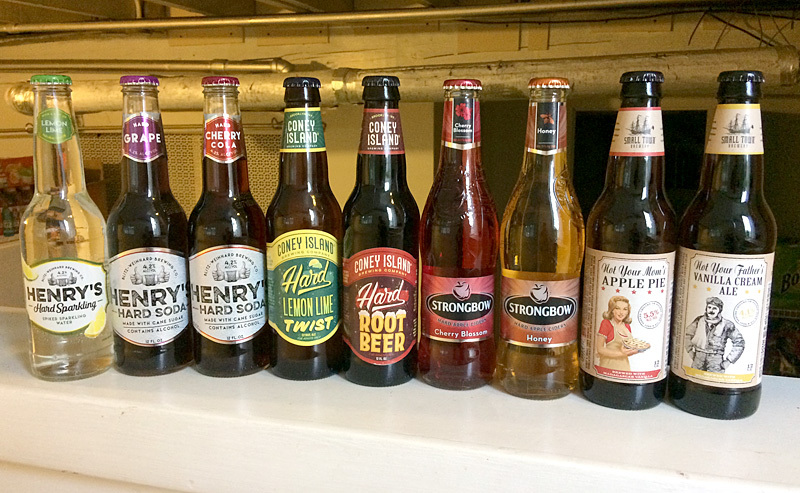 So I need to try more Coney Island hard sodas, because (as seen in the link below) I've liked them quite a bit - they hold 2 out of my top 3 scores for these 9 beverages. If you missed it, here's the review of the first 5 of these hard sodas/ciders. Origin: Spring Lake Park, MN. Review: This was flat (as was another Whistler soda I had this past summer), so this local bottler needs to get something figured out or people will be annoyed. (I'm annoyed.) However, the flavor was OK. 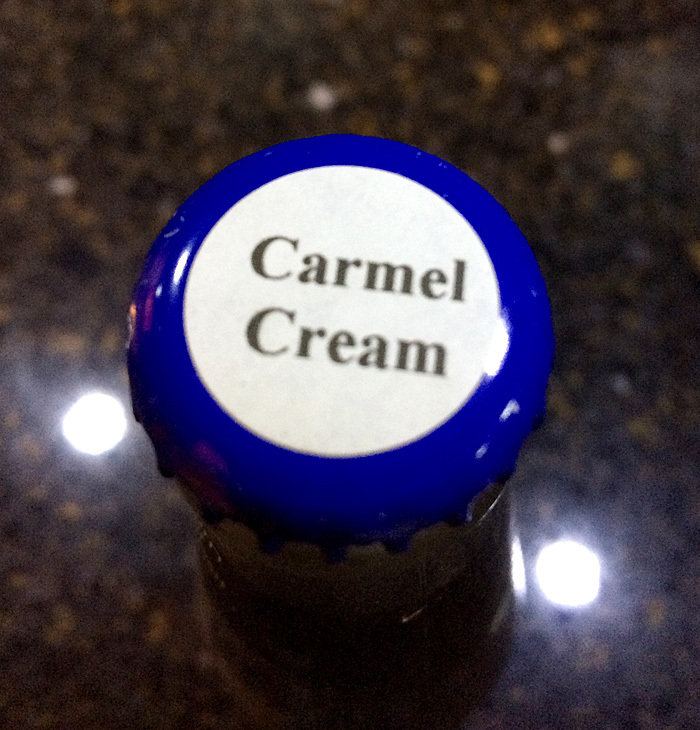 It tasted about like I figured a "carmel cream" would taste. Flavor was quite good, but it was flat, which turned me off quite a bit. 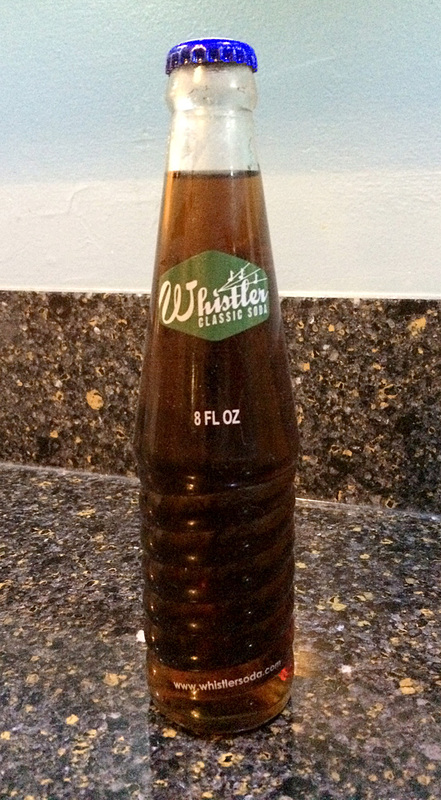 If this had a proper seal and proper carbonation, I'd rank this maybe 2 points higher.